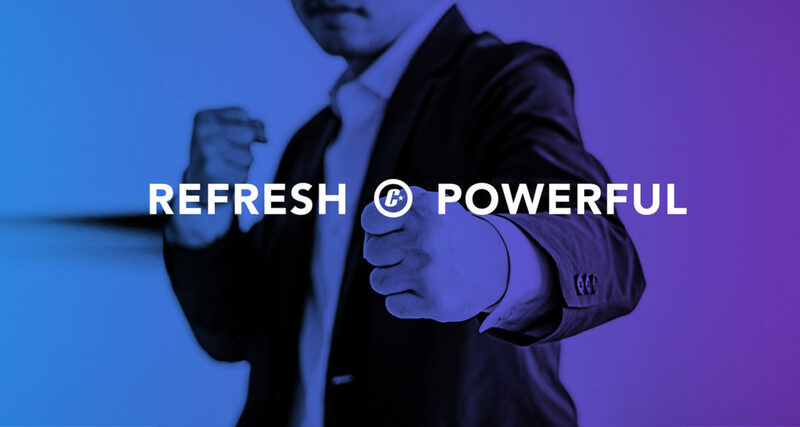 Brand Refresh: A modern approach to fighting fierce competition. 10 AprBrand Refresh: A modern approach to fighting fierce competition. You can feel it everywhere. The competition is coming out of the woodwork and they’re chomping away at everyone’s market share. Some brands are nimble and fresh to the market, with dynamic offerings and effective branding strategies while others fall behind. Ask yourself: is your brand up-to-date in the current marketplace and does it connect with the new generation of buyers? Are your advertising messages and tactics relevant? Is your brand image propelling your business forward or holding it back? Now is the time to carefully evaluate your brand identity and the way it’s communicated. It is time to brand bolder. The following strategic approach should be considered when you want to refresh your brand and reposition your organization for future growth. Do you have one clear brand message and is it consistent across all your channels? Do your products or services fit into your brand’s structure? It’s important to ask these questions before you begin your brand’s architecture process. It’s imperative to have a distinct and logical brand architecture that gives your audience a clear understanding of who you are and what you offer. Once you have established your brand’s architecture, you will be able to define your brand category clearly. Choosing the right category is vital to ensure you are positioning yourself correctly within the market. It is also imperative that you are speaking to the correct audience when marketing your brand. Creating a strategic brand position involves knowing and understanding how you want your brand to be perceived in the marketplace. Positioning can set your business apart from competitors and highlight your company’s unique features and benefits. Establishing an appropriate strategy will help build your business and differentiate you from your competition. The key questions to ask during a brand refresh include the following: who are you selling your product or service to, what are the consumers’ needs and expectations, and how do I target them with key messaging? These questions are crucial to identify the buyer’s persona. Establishing your ‘why’ will ensure your team, and prospective consumers are all aligned with your company’s core purpose and vision. A brand that clearly explains their ‘why’ will help it to achieve notoriety amongst its target audience. Knowing your competition is essential to distinguish yourself and provide value to your audience. Understanding their strengths and weaknesses will allow you to reposition your brand to stand out against your competition. Your corporate narrative should evoke emotion, have substance and be true to your core brand. Defining a brand promise with a clear vision, mission and values will help to establish clarity in your new brand message. Once these are identified, the new message is typically communicated through multiple channels of branded content including, storytelling, digital, video, and photography. Once your corporate narrative is established, you want to make your brand visible to a targeted audience. Finding relevant marketing communications will help you to create the right assets for your audience. Having a strong content strategy will help you to establish trust with consumers and within your organization. By following the brand refresh process, it will help ensure you are communicating the right message that defines who you are as a company and as a brand. By investing in your brand, the outcome and results will follow. Remaining valuable and meaningful in the minds of consumers will help your brand stay relevant for years to come.